As I'm getting older, I'm seeing changes in my skin and hair. I don't have thick hair as it is now, I definitely don't want to worry about my hair thinning as I get older. 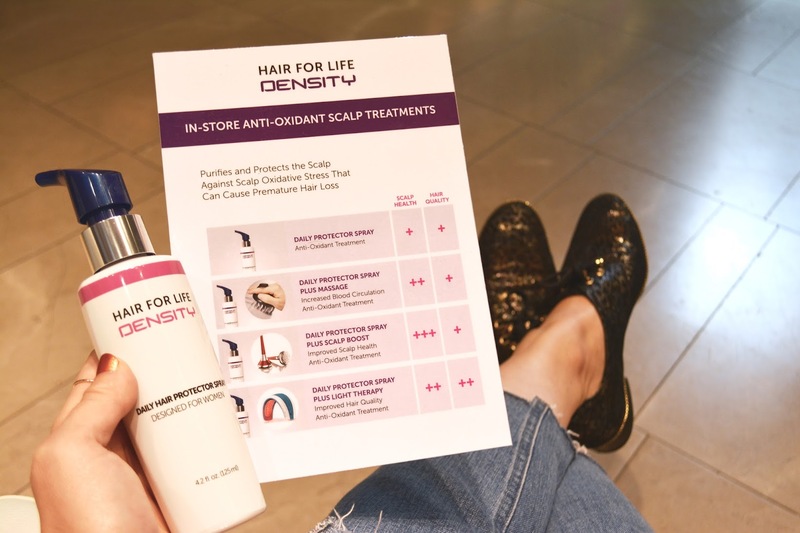 To learn more about hair density (and how to prevent losing it), I went to Hair For Life Density's Pop-Up shop yesterday. Con cada año que pasa, veo cambios en la piel y el cabello. Como es ahora, ya tengo el pelo fino y no quiero preocuparme de perder el cabello al envejecerme. 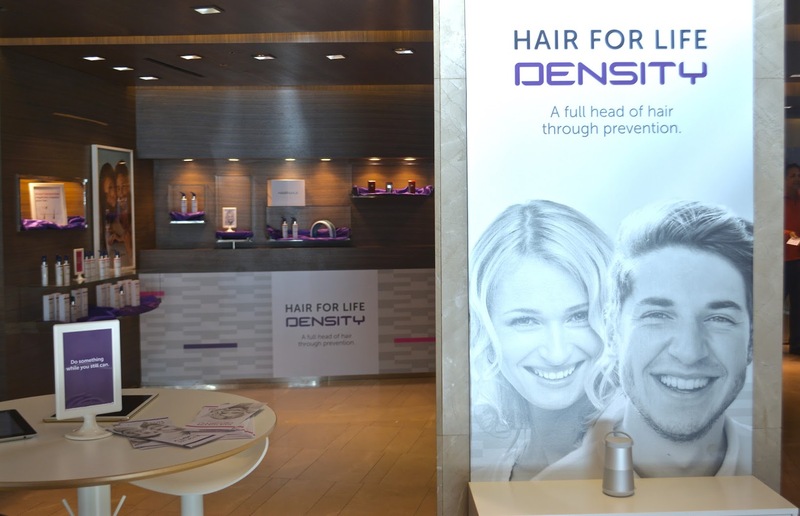 Para aprender más sobre la densidad de cabello (y cómo prevenir perderlo), pasé ayer por la tienda pop-up de Hair For Life Density. EN From now until November 8th, you can learn more about it too! You can make an appointment (or pop on over) for a free hair analysis and head massage at 40 East Oak Street from 10AM to 7PM. 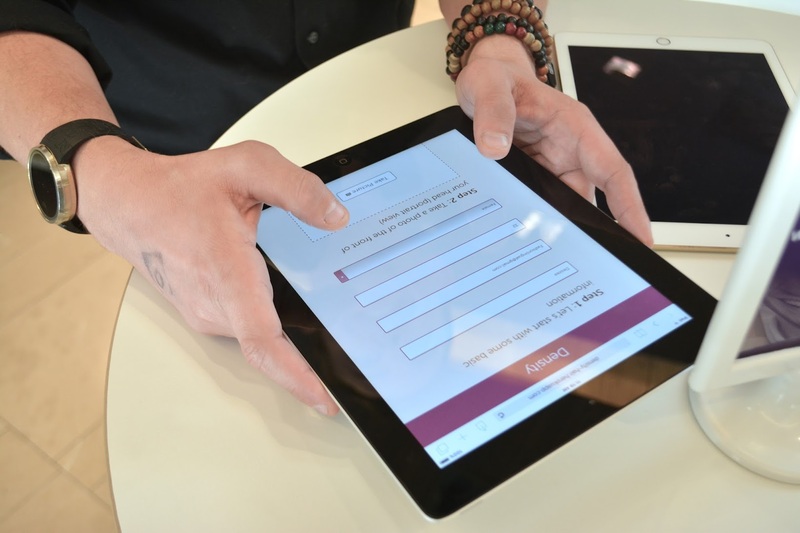 Click HERE to book an appointment. ES Desde ahora hasta el 8 de noviembre, tú también puedes aprender más del tema también. 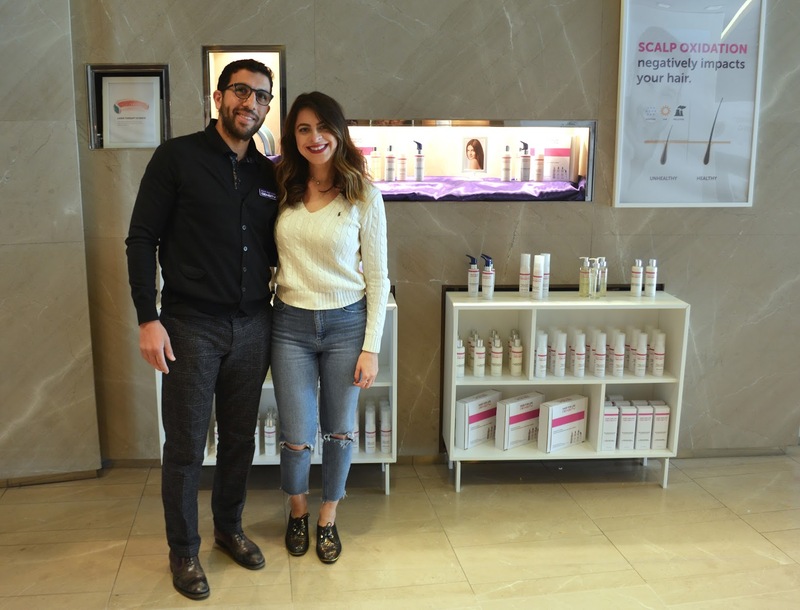 Pueden hacer citas (o pasar sin cita) para un análisis de cabello y masaje de cabeza en 40 East Oak Street de las 10:00 hasta las 19:00. Haz clic AQUÍ para hacer una cita. 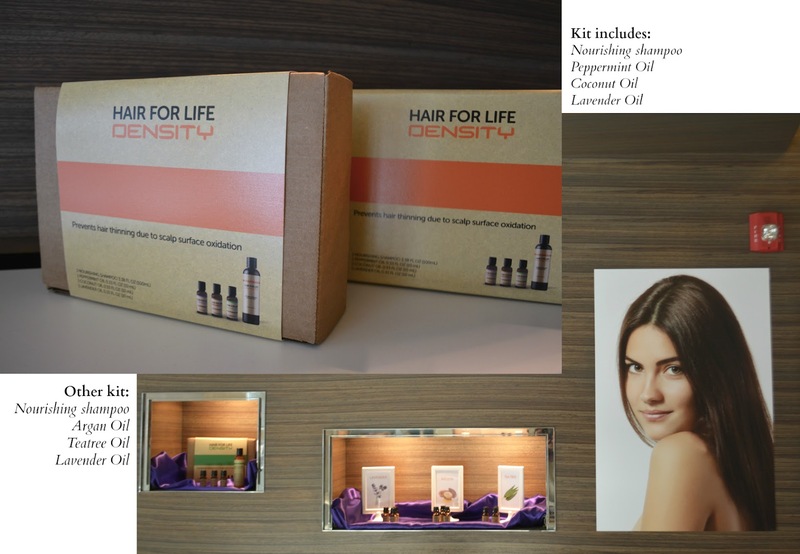 EN After a relaxing head massage, I learned about the importance of keeping my scalp healthy to prevent any future hair loss. Did you know that regular exposure to sun, moisture levels and pollutants can lead to Surface Oxidative Stress (S.O.S.) that can harm your scalp? 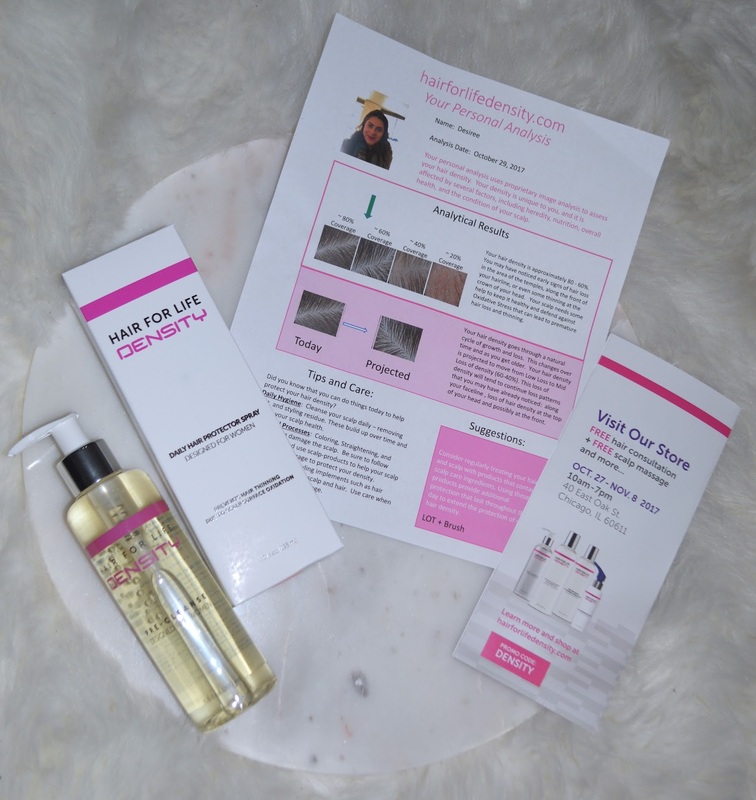 And made right here in the Midwest (more specifically, Ohio) is a product line that purifies the scalp and gets rid of that surface oxidative stress. ES Después de un masaje relajante, aprendí sobre la importancia de mantener un cuero cabelludo saludable para prevenir la caída del cabello. ¿Sabías que exponerte al sol, niveles de humedad y la contaminación puede causar Estrés de la Oxidación del Superficie que puede perjudicar el cuero cabelludo? Y hecho aquí mismo en el Medio Oeste hay una línea de productos que depura el cuero cabelludo y elimina ese estrés. Hi Amber! It's always great to link up with local bloggers!!! Hope to see you soon. Thanks for stopping by and leaving some love.